This week, Jon Berghoff is here to share his proven strategies for generating leads, building your sales team and taking your business to the next level! 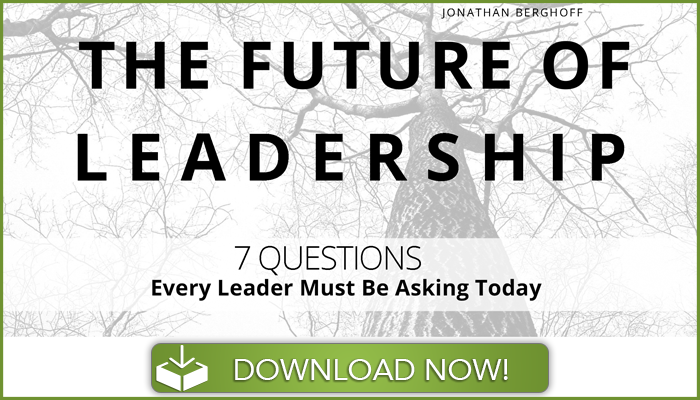 Jon Berghoff serves as co-founder and Managing Partner of the Flourishing Leadership Institute. He previously served as the head of sales for the direct sales team at Vitamix Corporation, where revenues grew by 400% in less than 4 years, and their team expanded from 175 to 600+ members. His work on Appreciative Leadership, Emotionally Intelligent Negotiating and Influence has brought him to Australia, Japan, UK, and South America. Jon is in high demand, known for his authenticity and highly engaging style of creating powerful learning experiences for participants. Jon starts out by retelling a story from his early days of selling knives door-to-door at the age of 17 and a lesson he learned on a late night sales call that’s still with him today. How to overcome the dreaded “I want to think about it” objection. I love the process Jon shares here, so get the notepad ready as I know you guys will love it too. For you advisors out there that are curious on how to build and train a team of younger advisors, Jon walks through his framework at Vitamix and the blueprint they used to train and grow revenues by over 400%. As I said, this episode is a little longer than usual, but it will keep you on the edge of your seat the entire time! It’s absolutely loaded with solid advice and resources from someone with in-the-trenches experience and is 100% applicable to financial advisors who are looking to take their business to the next level. [0:00:37] Brad: In this episode, I have the opportunity to interview Jon Berghoff. He’s the Managing Partner of the Flourishing Leadership Institute. This has led to Jon hosting events all over the world, including Australia, Japan, the UK, and South America. I’ve personally had the opportunity to witness Jon lead a conference. And I can honestly say I’ve never seen anyone do it better. In fact, I was so blown away. We hired him at Advisors Excel to lead our small group masterminds for 2017. And I can’t wait to see how big an impact it’s going to create for our clients. A little more background on Jon. Before his current venture, Jon was one of the top Cutco salesman in the history of the company, all of this before his 20th birthday. He then took a position with Vitamix as the Head of Sales where he grew revenue by over 400% in the four years he was there. This conversation turned into a bit of a marathon as Jon’s a lifelong learner at heart and he just continued to drop knowledge with every question I asked. So I just kept asking them. Here are just a few of the highlights we cover. Jon starts out by retelling a story from his early days of selling knives door-to-door at the age of 17 and the lesson he learned on the late night sales call that’s still with him today. Jon dropped a ton of sales knowledge during this conversation that all you financial advisors can benefit from, including his step-by-step framework for engaging a prospect, generating more referrals (almost 100% of his sales were generated this way in his Cutco days) and how to overcome the dreaded “I want to think about it” objection. I love the process Jon shares here. So get the notepad ready as I know you guys are going to love it too. For you advisors out there that are curious on how to build and train a team of advisors, Jon walks through his exact framework at Vitamix and the blueprint they used to train and grow revenues by over 400%. So as I said, this conversation’s a bit longer than usual. But that’s just because Jon was that good. So I’m not going to delay any longer. You can find everything including links to books, people discussed, everything else in the show notes at www.bradleyJonson.com/16. And, as always, thanks for listening and without further delay, my conversation with Jon Berghoff. [0:02:47] Brad: All right. I’m excited for this episode of the Elite Advisor Blueprint. I have my buddy, Jon Berghoff, also a fellow Front Row Dad, which I’m sure we’ll get into on the show today. Welcome, Jon. [0:02:56] Jon: Thanks, Brad. Glad to be here. [0:03:29] Jon: There’s probably another one. [0:03:31] Brad: Was this some study that was done early that, hey, a good sales guy needs to be named Jon, I mean dig in on that a little bit. What’s up with that? [0:03:39] Jon: It keeps it simple, huh? It keeps it simple. Yeah. We’ve never quite figured it out. But we do have to come up with something else to call each other. So, yeah, you’re right. A lot of Jon’s. A lot of good guys. And it was great to meet you there, Brad. It’s an awesome group. Good time. [0:03:52] Brad: The good news was all I had to do was call everybody Jon and I was right like half the time. So it worked pretty well. [0:03:57] Jon: We had a lot of friends right away. [0:03:59] Brad: We did. Let’s just dig in. I know we don’t have a ton of time here today. And the more I learn about you and your background and the success you’ve had, whether it was at Cutco or it was at Vitamix, whether it’s what you’re doing now at the Flourishing Leadership Institute. It’s just a really cool story. So I just want to dig in. Are you ready to run? [0:04:17] Jon: I’m happy to, yeah. Looking forward to it. [0:04:19 Brad: OK. So let’s go back to just starting out. I believe Cutco. You were 18-19? I mean, you were pretty young when you started out there, weren’t you? [0:04:29] Jon: I was 17, yeah. [0:04:31] Jon: Yeah, I was in high school. [0:04:32] Brad: Wow. So for those that might not be aware of what Cutco is, or have any exposure to that, can you just give a quick rundown, what is Cutco, what did the organization look like and what was the job you took starting out? [0:04:44] Jon: Sure. Cutco is a direct sales. They sold directly. And that’s pretty much the only way they’re sold. And they’ve been around since 1949. They’re a second or third generation family owned company. They’re made in the US. It’s like I’m going into the pitch, right? It’s been like 20 years. I could sell these types. And they recruit primarily college students, once in a while, high school seniors like myself. And they create an entrepreneurial opportunity for young people to figure out how to directly sell kitchen knives, of all products, to whoever they could sell them to. So that’s what it is. And I was introduced to it through a friend who is between my junior and senior year in high school. And I’ll give you the start of the story and then we go wherever you want with it, Brad. What was really interesting for me is at the time in my life that I discovered Cutco – like I said, I was 17 years old – that was actually a time for me that I was really struggling personally. Socially, I was really struggling. And that’s a tough age to struggle at, which led to struggling in school. And the only reason I share all that is because sometimes we have these defining moments in life, pivotal moments, whether you call it fortune, luck, whatever you want to call it, where I came across this opportunity to sell knives. And here’s this introverted kid that’s on pace to not graduate from high school. And I came across this opportunity. And I will tell you what unfolded and the change in direction that it created for my entire life, because I can point a lot of things back to what I learned with that incredible opportunity is it gave me a chance to discover some strengths that I had that I didn’t realize I had. And I fell in love – and I think a lot of your audience can appreciate this – I fell in love as a kid with this idea that in sales, you get rewarded not based on what you want, but what you deserve. And even though I was absolutely struggling in so many ways in my life, there was some part of me that thought, “You know, there’s something to that, that just seems based in truth in like how the world works.” Like my paycheck is up to me. It doesn’t mean it’s going to be easy. So I had this kind of magnetic attraction to the idea of “everything’s up to me and I’ve got to be the one that hunts and kills my food”, and fortunately – and this is where luck, fate, whatever you call it, my first manager who you met, Dan Casetta, was actually at that dad’s retreat. Dan is an incredible leader and teacher and mentor. And I was very fortunate that amongst many lessons that I will never forget that stick with me every day, he taught me at a really young age, he said, “Look, you know, the success that you achieve in life is very seldom going to exceed your level of personal development – which I’m sure he learned that from Jim Rohn or Zig Ziglar, it doesn’t matter – because I learned it from him and it got me really hungry at this crazy time in my life to want to learn. So I was fanatical. Back then, it was like a Walkman cassette tape. Then, I could repeat right now all of Brian Tracy’s old sales trainings. And so, I got set on this learning journey, where I was just ravenously hungry to learn. And that almost never stopped. And it led to some really positive outcomes selling Cutco, which then led to some other great outcomes entrepreneurially. So that’s the short intro to the Cutco story. [0:08:07] Brad: So cool to hear. A lot of that journey resonates with me because I just wished I would have been exposed to that at 17. Myself and a buddy were just talking. We just like wasted college because it was kind of you would go to class to just get the grade and then forget after the test and then move on. And it wasn’t until I got to Advisors Excel, sales-based background, brought in a lot of outside speakers, Tony Robbins, Darren Hardy’s of the world, that you really start to realize how important that stuff is. [0:08:36] Brad: What a blessing at 17 that you were exposed to that. [0:08:39] Jon: I feel so lucky that it all happened that way, Brad. It was really cool. I’m happy to share with you today any of the stories from that moment until now because it’s been a wild ride. [0:08:48] Brad: So let’s dig in because Cutco would have been door-to-door sales, right? You’re basically going in presenting at somebody’s kitchen table, right? [0:08:57] Jon: Yeah. It is essentially, yes. Yeah. You sell to somebody, present to them, and then it was all based on referral. I had to convince you or your wife, or both of you, to give me your friend’s names. And back then it was mostly home phone numbers. And when I go call them and set up appointments, so it was all based on referral, not entirely cold door-to-door. But, you know, for most people, it’s a similar experience, yeah. [0:09:19] Brad: Can you share one of your early Cutco stories? Maybe like super early and maybe a fun story? What kind of impression that you still remember. [0:09:28] Jon: Yeah, yeah. There’s a lot. And I’ll start with this, I’ll tell you that when I was in training, I remember I had these little voices in my head, certain fears. And one of the fears I had is I thought, “What if nobody ever buys anything from me? What if I go through this training and I literally can’t sell anything to anybody?” And don’t forget, I was a 17-year-old guy. It wasn’t like I had my act together in every way. It’s on the third day of training, I think I got there late. And I missed order writing, right? So I’m like self-perpetuating this fear. I missed the part of training where they teach you how to write up an order. And I’ll never forget that because it reminds me, I don’t know how many years later, this is now almost 20 years later. It reminds me how often we have fears that if we allow them to persist, they actually will self-perpetuate the problem that we’re worried about that is an entirely irrational problem. I think it’s a Mark Twain quote, you know, something like, “Thousands of the things I’ve worried about never actually happened.” He said it in a way that was more powerful. And so I had that fear. And then I went off and started selling. And I had an average start. I wasn’t like a superstar in my first couple of weeks. But I will share a fun story with you, Brad, that taught me a lesson really early on. It was about a month and a half after I started. When my manager taught me, we had a sales competition. And one of the things that he introduced me to, there were two concepts that stuck with me for a long time. Number one was that when our reasons for why we want to do something are strong enough, that the “how to do it” will reveal itself. When the “why” is strong enough, the “how” will reveal itself. And he had me do an exercise that, to this day, I always have some version of this with me, where he had me just take a piece of paper and a pen and just write down all the reasons why I wanted to win this competition. And I thought, “I’m going to listen to the guy. He was really successful.” And so, I’m going to follow his lead. And I trusted him and I did that. And in that process, I discovered the power of purpose and the power of having something behind the goals, something that’s driving the goals. And I don’t mind admitting that that list, if I read it out like today, I might be a little embarrassed by it. I was a 17-year-old guy. I mean, half the reasons I think that they had to deal with so I can make enough money, so I could buy more car parts for my 1988 Mustang GT 5.0. It was things that 17-year-old guys who care about – nothing wrong with that – but over the years, my reasons have evolved. The values that drive “why” or my motivations have changed. But I’ve always appreciated that lesson early on, how important it is to get myself and eventually leading large organizations, others, to be connected to a sense of purpose. Because without that, it’s really hard to sustain the feel of the internal energy to want to keep going. And that was a big lesson. And one of the other lessons he taught me was the power of envisioning or visualizing in advance how we wanted our lives and our businesses to unfold. And I will share an interesting story. This big competition that happened six weeks after I started, you know, he had me every night. It was a two-week competition in the office. After everybody left, we would visualize getting to the big sales conference that we knew in two weeks was going to happen in Sacramento with 2,000 or a thousand people there. And we would visualize the countdown at the end of the sales contest. And we would actually envision myself being the last person standing which is how – it’s a dramatic thing that they do. And we would envision myself winning that competition. Well, the really long story made really short is I ended up winning it. And it set in motion a belief in myself because I believed that our minds are like plastic, not elastic, meaning you take a rubber band, if you stretch it and you let go, it goes back to the same size. You take a plastic bag and you stretch it, it doesn’t ever go back. I really believe that when we can push ourselves to do something we’ve never done, it changes us in some way permanently. And I had that experience. And what that parlayed into is I set a few more records and a few more. And then I went on to be their top rep out of a million people in their 50-year history. And I share all that because the lessons that I learned early on took me, a guy who’d never sold anything, who was afraid I wouldn’t sell anything, to be the best in their history. But those principles are so profound, to see what we want to have happen before it happens vividly. And to have reasons that drive us. And those were the kinds of lessons that I had mentors teaching me when I was young. And so I look back at that. Gosh, I had such an unfair advantage. But I would say I’m seeking out today the same quality lesson to continue to learn and evolve. So there’s a couple of fun stories. I mean, I sat at the kitchen table of over 1,200 people in their homes. There’s a lot of crazy things that happen at the kitchen table for 1,200 times. [0:14:17] Brad: If you have one, here’s what’s cool about that is a lot of financial advisors, that’s how they started too, door-to-door. A PG version of a fun story, if you don’t mind sharing because I’m sure it’ll resonate. [0:14:30] Jon: Oh my gosh, yeah. You know, our office got a phone call from someone who lived not far from our office. And, first of all, it was a guy. And our primary prospect was not necessarily men, it was usually a housewife or women. It was women who does the cooking, which that time, more often than not, in that part of the country I was in, it wasn’t the guy. Well, we got a call from a guy who said, “Yeah, I want someone to come by. I want to buy a gift for somebody.” And everyone in our office turned down this phone call because the guy said, “Yeah, I only want someone to come see me really late at night.” So everyone thought that it sounds like a wasted lead. And that call came into the office at the time in my life where I had an attitude that said, “You know what, I’m going to pursue everything. And if I see it’s not worth it, I’m going to immediately get out of there. But I’m going to follow everything.”, because I had this belief that every lead could be a gold mine, and to not judge too quickly. So everybody passes over this lead. And someone hands me a piece of paper. He says, “Have fun with this one.” They all thought I was going to just throw it away. I called the guy. He only wants to see me at like 11:30 PM. So I knock on his apartment door, a couple of blocks from our office after our sales meeting. I opened the door and the guy invites me in. And it was all kinda awkward. And the first thing he says to me – and I could tell he wasn’t entirely sober. There were all sorts of things that I think were going on – and I thought, “OK. I think I can protect myself if this gets crazy.” And the first thing he says to me is he goes, “Hey, do you want to see my gun collection?” And, of course, I said, “Sure.” So he takes me back into this room and opens up this huge closet of all these guns. And, by the way, telling this story actually freaks me out. If it happened today, I don’t think this would be a whole different reaction but this was 20 years ago. And he opens the closet and he’s showing me all these guns and how he’s got $10,000 for the guns. This story is ridiculous, really. And then, we go into his kitchen and I say, “Hey, man, it was really cool seeing your guns. And I’m going to take off. I don’t think you really need any knives.” And he goes, “No, no, no, no. Let me see what you got.” And all of a sudden, I realized when he was showing me his gun collection, one of the things I was taught early on is that we’re all driven to make decisions for different reasons. And, oftentimes, the underlying reasons are emotional. We want to meet certain emotional needs. And in this country – and I’ve now had the privilege to train like five different continents around the world – in our country, we’re driven by certain motivations more than other places in the world. And we’re driven by the desire, the need to feel significant in a sense of status, importance, uniqueness. And I have been trained really, early on. I had a Tony Robbins sales coach when I was 17 who taught and said, “Once you can see what emotional drivers motivate somebody”, like this guy is showing me his guns, it really made him feel significant. You figure out how can you keep pressing that button to help them to purchase whatever you might offer, as long as you’re really doing them a service. And so, we’re sitting at the kitchen table and I just threw out there. And I’d never said this before. I was kinda young in my career but I have this training. I said, “How would you like to be the biggest customer I’ve ever had? To buy more than anybody?”, just out of left field, I thought I’d see how driven he is to feel significant and he goes, “Tell me what it would take.” And the long story short is 20 minutes later, the guy decides to buy 10 of what we call our “deluxe carving sets”. Each one is like $400. So it’s like a $5,000 order at midnight that everybody else turned down. And I always think of that story, Brad. And not just because of all the quirkiness and craziness of it, but it’s just a reminder that I think often we’re closer to making a sale than we think. And I really believe that oftentimes, the sale is won or lost in the salesperson’s mind long before the customer’s mind. That’s a lot of the psychology of being excellent, I think, is recognizing when we might come up with our story. And then that story can really self-perpetuate, whether it’s that they will or won’t buy. And anyone who’s listening, you know, the type of person who’s going to listen to this probably has seen that play out. So that’s a quirky story. [0:17:43] Brad: That’s a great story. I love that one. So as you progressed at Cutco, two things, actually two questions enter my mind. What is the number one reason you became the number one sales guy?” If you could have distilled it down to nothing else, there’s this one thing, what was it? For me, I do have those thoughts once in a while in different domains in my life. And I always remind myself as soon as I think I’ve really mastered it, that that’s a dangerous place because that means what’s going to happen is now confidence is going to start to replace learning, or confidence is going to replace the kinda professional preparation that I should always be putting into what I’m doing to keep getting to the next level. So there was a curiosity that comes from real humility, a willingness to really have a child-like wonder always, no matter how good we get at something. And my ability, I think, to maintain that curiosity, even when I was number one, I think, was big. But, Brad, the other thing, if you gave me the freedom to give you a second answer, which I’m choosing the second one, was a work ethic. I was taught at a really young age. In my first job, I created the job. That was at a time in our world where you didn’t have to create jobs, where today, you don’t just go find the job. People out of college have to create them. Really, you’ve got to be a lot more creative. But I created the job when I was 12 years old. I walked over to a golf course, a small little public course near where we lived, and I said, “What job does nobody want to do that I could do and they’ll just give me free golf?” And it was picking up their driving range golf balls and cleaning their golf balls. So the joke obviously that my friends made for years was I was the guy that scrubbed all the dirty balls for free golf. I guess when you make things sound cool like that, it’s easier for guys like me to remember. So just really valuing repetition and realizing that. And I see people today who watch me facilitate large events or train leaders, and they go, “Why you make it look easy?” And I forget that I’ve spent thousands of hours doing the things that got me where I’m at. So those are a couple of things that have really helped. [0:22:04] Brad: Well, while we’re on sales, I’ll give you two versions of this question. If I was a brand-new sales person, and for a lot of our offices – we’re working with the upper echelon of financial advisors – but a lot of them are hiring new sales guys, right? So they ask the advisors to build their team. What’s the number one sales book a new associate advisor should read? [0:22:25] Jon: I think, I mean, personally and I’m a little bit old school on some of this, I don’t know if he’s re-titled it 30 times since I first read it. But probably, one of Brian Tracy’s original Psychology of Closing. I, of course, had them on audio cassette tape, Psychology of Closing or Psychology of Selling. There’s some really foundational insights. And for someone who’s brand-new, I think those are really-and that kind of training teaches someone who is new. By the way, even if we master this stuff, we’ve got to be reminded of this. Some of the most fundamental things like, first of all, I’m only going to influence someone else to the extent eventually that I can influence myself. Because the most critical skills in selling have to do with my ability to empathize. And I can’t actually enter your world until I get out of my own way and stop worrying about whether I can pay the bills or worrying about if I hit the goal or what people or you think of me. So, so much of what makes somebody great that a lot of these foundational classical trainings teach as a salesperson, I got to get myself in the right state of mind before I talk to somebody. And I’ve got to develop the emotional intelligence to know when I’m not, so that I can realize I got to do something about this, change my physical state, have a different self-conversation, change my environment, talk to somebody right now. Because if I go through the same actions as the person next to me, but in a terrible state of mind, we’re going to have completely different outcomes. So that’s like one of the most foundational things that a lot of these old-school trainings teach. You got to be in the right state. And then if there’s two other foundational principles for a new one who’s in selling, whether you’re new or you’re a master, it’s ask brilliant questions and talk less and listen more. Because the more we ask sharper questions, the more we learn and discover. And then we can craft what we’re going to do or what we’re going to say or how we’re going to present it based on what’s actually going on for the person in front of us. Those are the kinds of simple lessons that some of those foundational teachers taught me. [0:24:16] Brad: So did you have a Tony Robbins version of a pre-sales call routine that you went through? Are you out on your cell phone, just do a quick spin and roll in or whatnot? [0:24:26] Jon: Oh, I did everything. I went to my first Tony seminar. I think it was 1999. Even though it was ’99, he actually had the ’80s haircut. He may have had a tie on, what do you think of that? [0:24:37] Jon: It’s cool over the years because I’ve since met him and known him because I eventually was selling Vitamix. It’s a fun side gig while I was there in QVC. And he sells his tapes now in QVC. And I’ve had times where I run into him late at night. The only two people in the buildings who were that late, the only person that’s there where it was to be on air or was just not there. And it’s funny to have seen his transformation up close. But I, actually, when I was 17, I hired a personal Tony Robbins coach. I mean, you’re joking about this? This is my first full-year in the Cutco business. And halfway through the year, I paid to go to this three day seminar. I don’t even run in anymore. It’s called “influence mastery”. I think you can buy the tapes. But they used to run it as a three-day seminar. There are like 20 of us in the room. And one of the things they had us do in the room is something called a “swish pattern” that comes from the world of NLP, neuro-linguistic programming, which I later on went and got master-certified in that, which is silly. It’s just a study in language and how our brains work. Really, anyone can do and learn this stuff. But at that young age, they were teaching me to do this thing where I would actually imagine what I don’t want to have happen. Like I’d close my eyes and then I would repeatedly with massive repetitions, I would imagine like that’s a picture in my mind’s eye. I would imagine smashing it with a hammer and seeing it shatter. And then it would change into a vivid movie where I’m now actually in the movie experiencing what I want to have happen. And they had me do that like 200 times in an hour at the seminar. And what I envisioned was losing the Silver Cup race which is the race to be the top rep of the company. And keep in mind, it was my first full year in the business. I was competing against full-time people. I was still a high school student. But I thought, I’m going to make it happen. And so, I would do these crazy things that you’re talking about where I’d envision it. And, lo and behold, I was the Silver Cup champion that year. And people ask what does it take to succeed? And sometimes Brad, I feel like people don’t want to hear the truth. They don’t want to hear how much hard work is needed. They don’t want to hear maybe that you really do have to find quirky ways to reprogram your thinking. So, yeah, I did those crazy things. I used to read Og Mandino’s “Greatest Salesman in the World” or “The Ragpicker”. There’s actually a closing chapter in the Ragpicker. And I would stand up and read it out loud every morning at 7:00 AM before making my phone calls. If you want to get pumped up, if you want to think that you could conquer the universe ten times and back, just go read an Og Mandino chapter. He has like, I think it’s called “The God Memorandum”. I think it’s like a note between him and god as how his capable of anything he wants or something like that. I just read that out loud. So, yeah, I did all those quirky things. [0:27:02] Brad: What was it in you? You talked about curiosity earlier. But Tony Robbins isn’t cheap even if it’s back late 80s early 90s. I guess you would have been in the 90s, right? [0:27:14] Brad: So what were you spending? I mean, at 17-18 years old, you were dropping a couple of grand to go to these events? [0:27:19] Jon: I was. And I had a coach. I paid $500 a month. There was an epiphany that I had that our mutual friend, Jon Vroman, I hear him talk about this all the time, where there is a point where I realized I stopped asking the question, “Is it worth it for me to invest in this?” And I realized, no, no, no. The question is, “Am I worth it?” And I realize, I’m worth whatever I could find a way to invest into. And at that stage of my life, it just made sense to go all in, I thought. But I also had a healthy respect for the fact that just because I go to a seminar, I read a book, that’s not going to win the game for me. I have to have just as much passion and energy to take what I learn and implement it. So there’s two sides to that coin. got to get the info, but you gotta be willing to go push it and put it to work. [0:28:04] Brad: We’re going down rabbit holes here but this is fun. Was there a secret that you had to implementing? Do you take the two or three things that you got a niche a conference and have a timeline to put into action or how did you take it from the learning stage to the actual action stage. [0:28:21] Jon: Yeah. I think if there’s anything, it’s realizing that putting one idea into action is infinitely more valuable than putting a hundred really good ideas onto a notepad. And so, you can see it on the video. But there’s a little piece of paper on the wall that essentially says, “How do I win one gold medal before I win the second gold medal?” Which is, OK, let me ask myself. I just got 10 ideas. But what’s the one that’s going to make a bigger difference than the other nine? Let me go crash that until I figure out how to do it or if I should do it, then I’ll go to the next one. Sometimes, if you go to these events, they get information overload. And they’ve really just need one simple insight, a distinction or discovery or even just a new discipline that they need to commit to putting into action. So I mean, that’s one thing that sticks out for me. [0:29:05] Brad: I love that. Reminds me of Don Jaeger, who’s spoken in a few of our events, awesome guy. He has a what he calls a “note card rule”, where, say, he gets 20 ideas from a conference, he puts each idea, one idea per note card. But then, the secret is he puts all 20 note cards on the table and slowly start eliminating until he gets to the one, right? The gold medal in your analogy. [0:29:25] Jon: Yeah. That’s cool. [0:29:27] Brad: And then he stacks them to where the gold medal is at the top. And he can’t go to any of the other ideas until that note card’s been executed. So a really cool way that he kind of ciphers through all the ideas. [0:29:38] Jon: I like that. That is cool. [0:29:39] Brad: Taken used to it a couple of times. Well, I’m going to have advisors that won’t forgive me if I don’t dig in on this. So the referrals you talked about, from a Cutco standpoint. I’ll start with this question: your biggest year of sales at Cutco, do you remember what your percentage of sales were from referrals? [0:29:57] Jon: Oh, literally a hundred percent. [0:30:00] Brad: Like all of them? [0:30:01] Jon: Yeah, all of them. That time, that was our business model. There was no online lead generation. There was, you know, that was it. That’s everything. [0:30:09] Brad: OK. So cool. So let’s apply this to financial services. So I’m a financial advisor, most of them that we work with have a client base that’s established because there’s successful guys. So I’ve got this existing client base of people that like and trust me. Can you apply a referral framework that worked at Cutco, or maybe just walk through what that verbiage sounded like as you’re going through that conversation? [0:30:31] Jon: Yeah, absolutely. And I’ll tell you right now. I know just enough, not a whole lot, but just enough about the world of the financial advisors to know that there are certain things that I did selling Cutco that absolutely I’ll share right now that they could certainly learn from. But there’s also, it’s a very different business model to where if I was an advisor, there are some different ways that I would actually behave than what I did. But let me give you a little bit of both of those, I think. So, for one, you just made the point, you know, you have people that like and trust you. And they taught us at an early age, the most important thing is you’ve got to be able to build that rapport. At 17, when they say the word “rapport”, like what the hell is “rapport”? Can you spell that? And I don’t think I could spell it for ten years. But they taught us like you got to build this thing called rapport, whatever this is. And there’s a silent T at the end. And they taught us early on how to do that in a really important way which was to be really good at having a conversation. And having a conversation not about knives, but a human conversation. And one of the things that I had manager taught me really early was to learn how to ask well thought-out questions that would lead to not only quality conversations, but there’s something that now in the world I’m in, we do a lot of training on emotional intelligence. And there’s a lot of science that actually backs up stuff that I was doing 20 years ago. I had no idea there was science behind it. But there’s a lot of science that talks about how when you have certain types of conversations that are driven by certain types of questions, it will trigger in the brain different emotions. And when people feel different emotions based on the conversations which were led by those questions, it creates really powerful connections between two people. So one of the things I was taught really early on, and this could be obvious to everybody listening to this, was make sure that when you think about the conversations you have and the questions that lead to those, be thoughtful about what I now call “the emotional wake” that your conversation leaves behind. And the emotional wake is if you think about a boat traveling through the water. It doesn’t matter how fast, how slow it’s going. It doesn’t matter what conversation you’re having. But every conversation leaves behind a wake, like a boat through the water. And there’s no such thing as a neutral conversation. Because if I thought it was neutral, it may have been negative for them because they just thought it was a waste of time. So I should be thoughtful about the conversations. And, of course, we then learn what’s probably obvious to many of your listeners, is that people love to talk about themselves, their kids, they love to talk about – we learn to ask questions like, “What kind of advice would you give us?” Now, you might have a listener who’s thinking, “Well, I shouldn’t be asking that.” But you have to understand, as a 17-year-old, yes, someone gave me advice. What it does is it puts them in a position of feeling significant, important and valued. And maybe they’re not used to feeling that way. But eventually, learning how to be really thoughtful about the kinds of questions we ask and understanding also that rapport in connection with someone is very much unconscious. But when we have rapport with somebody that we eventually, like if you’ve ever met a couple that’s been together for 30 years, and everyone can think of a couple like this. They’ve been together for 30 years. And by 30 years, they look like each other. They talk like each other. They walk like each other. They dress like each other. And what happens is when two people spend time together, this actually happens automatically. But if someone is aware that it can happen, they can accelerate it. What happens is we tend to – it’s called “emotional contagion”, and there’s been studies that have been done around the world, where they go into group after group after group, and they notice that eventually, over time, everybody is feeling the same feelings. Everything is contagious. And so, one of the things they taught us really early on is when you do go connect with somebody, I might, Brad, meet you for the first time at your kitchen table. And I want you to be positive, optimistic, excited, energetic, open to talking with me. But, you know what, 8 or 9 out of 10 times when I walk in the door, you’re not bouncing up and down. You’re not necessarily exuding the perfect prospect for me. You might have a much lower state of energy. And one of the things they taught us – again, this could be obvious to all of your listeners – was meet people where they’re at to match and mirror them where they’re at. So I eventually train people now in Japan, in Australia, in South America and the UK. And one of the things I’ve learned is even if I don’t speak the same language, I have to energetically actually start where they’re at. And then, it’s called “matching and mirroring”, so if they talk at a certain pace, if I’m from New York and I travel to the South, and I talk at the speed of somebody from New York to someone’s who’s listening in the South, I immediately have an unconscious disadvantage. And I might not even know why. But they don’t like the pace at which I talk or the volume or the tone, or the tempo, right? Physiology is the fastest we create rapport. So matching and mirroring, not in a manipulative or inappropriate way, but in a respectful way. People always ask me. “Matching and mirroring”, that sounds so manipulative. And don’t people catch you doing that? I say, “Well, look, it’s no different than when I go train in Japan. When I walk into somebody’s house, and I see that everybody else before me took their shoes off, they don’t consider to be manipulative because I took my shoes off. They consider me to be respectful. So what I’m doing is I’m willing to adapt my style based on what I know is going to help others to be comfortable with. And that little anecdote has helped me oftentimes realize the very best salespeople are chameleons. They could walk into ten different rooms with 10 different attitudes at 10 different prospects. And they can match those people where they’re at. And then after aligning, we bring them to where we want to bring them to. So a lot of these unconscious things with our physiology and communication, I think transcend any industry and any situation. One of the other things, Brad, that we used to do to sell at Cutco aside from just learning how to have great conversations, learning how to build rapport, we actually used to give ourselves a challenge. We played a game, where I would walk up to the front door. And I would leave my kit in the car. And I would just pretend that I left it in the car on accident. Or just not even say anything. And the customer would let me in. And the reason I left my kit in the car – and the customer didn’t have to know this – but I was playing a game with myself. Could I get so caught up in such a positive, personal conversation that they don’t even stop and say, “Where’s your stuff that you’re here to show me?” And by forcing myself to play that game and not fall into, well, let me open my thing and get into my pitch. It forced me to have to figure out how to connect with people. And then eventually go, “Oh my gosh. I just realized. I forgot to bring my stuff in. Let me go get it.” So I went really far to force myself to figure out how to build rapport. And I have to say this, Brad, I know I said this a few minutes ago in different words, but I think the most important thing when it comes to creating rapport with others is my internal state of mind, what’s going on inside of my head and my heart. And there’s actually research now that’s been done that shows that whatever emotions I’m feeling, it doesn’t matter how good I think I am, covering it up with my face, those emotions within nanoseconds, you detect them. And your body, at a cellular level, makes decisions about me based on what’s going on deep down inside. And so, ten years ago, what I just said would sound like a bunch of wobbly stuff that you’d only hear about in California. Today, there’s a never ending abundance of science. And there’s a reason why every one of the biggest companies in the world that we’ve all heard of, one of the fastest-growing industries that they’re all hiring trainers within is mindfulness, because there’s now no denying that what’s going on inside has a dramatic effect on our ability to be socially aware and then connect with other people. So for whoever’s listening to this, you know, if you ever dabbled with or wondered how important it is to have some sort of practice to manage your own psychology, it’s everything. And especially those of you that are at the top of your game, to go from outstanding to best in the world, it’s going to be an inner game thing, you know. The external strategy, we can go read that in all of the books. The hard part is how do I get out of my own way so that if I’m having a bad day, or if the last three people I just talked to have rejected me, because that’s what sales is about, right? Can I take the rejection? But by the time I talk to the next person, it come across as though I’ve never been rejected, right? And not in an artificial way, but because I’m able to reset really quickly. and that’s easier to say than it is to do. But that has a lot to do with building rapport. People want to be around people that they want to be around. That’s so simple. But think about that. They want it to be likeable. Now, in terms of our actual approach and things we’d say or ask, one of the fundamental things we were taught is set the expectations, plant seeds early on into the relationship. Let the customer know. The way that I do business is through referrals. And here’s why that benefits you, because it’s going to cause me to want to do an exceptional job for you. And so, my request, Brad, is that we decide right now how do we define us winning together, and how do we define you being happy with me? So let’s just get clear on that even if it’s a simple definition. And if we agree then that I’ve done that, would you be willing to agree upfront to help me to help some of your other friends. And, Brad, by the way, if I don’t meet what you wanted. I might still ask, but I don’t want you to refer me to your friends, right? So it’s setting expectations upfront that, “Hey, I want to win for you. And if I do it for you, I want to do it for your friends. And if I don’t do it for you, please do not refer me to your friends.” It’s very direct, very candid, very open conversation. That may not work in the financial advisor space. But with Cutco, it did. I used to tell them. I’d say, “Look, if you don’t like hanging out with me”, and I’d say it with a smile. There’s a lot of things you could say with a smile that if you say without a smile, you’re a creep. You say it with a smile, it actually works. I’d says, “Hey, if you don’t like hanging out with me after 20 minutes. I’ll probably going to ask for referrals. But just tell me you don’t know anybody.” The same way I’m smiling right now. And they’d laugh, but that’s also part of the rapport-building process. As a financial advisor, I think so much of today, what a financial advisor has to do, is they have to become, I think, a center of influence. They have to go so far beyond. They have to go so far beyond just delivering their solutions to the customer. They have to be somebody who’s actually bringing insight, who’s bringing value, who’s bringing relationships, who’s solving problems even if it has nothing to do with their services. Because it’s too easy for every financial advisor to just say, “I’m a really good financial advisor.” You got to be more than that. So I don’t know if that means anything. [0:40:54] Brad: Oh it’s a hundred percent accurate. What I heard you say in that right there is you were selling the benefits of working with you. What does a happy solution look like? In the end, you weren’t selling a product; you weren’t selling a knife right? Although that is how you made your money and I find the very best financial advisors don’t sell product, they sell solutions to the issues their clients have. That’s awesome stuff man. Thanks for sharing, Jon. [0:41:19] Jon: Yeah. Sorry. I talk a lot. You asked one question. I answer unasked questions. [0:41:24] Brad: Most sales guys do. I talk a lot. Ask my clients. So, let’s transition because this is really cool piece of your story. If I mess this up, set me straight here. [0:41:35] Brad: You were the Director of Sales for Vitamix. So, transitioning from Cutco to Vitamix; and for those who don’t’ know Vitamix, it’s a really high-end, expensive blender right? You can tell me what I messed up in my sales pitch there. You grew their sales team in less than four years. You grew their revenue from their direct sales team over 400% in less than four years. You grew that team from 175 to 600 plus in the time you were there. [0:42:02] Jon: That’s right. Yeah. [0:42:03] Brad: Alright. So let’s dig in on this because most of our advisors, ultra-successful guys, were working with the top 2 or 3% in the industry and they’re pretty good. Where a lot of the challenges happen is now they are booked out two to three weeks solid or they’ve levered up a couple of times the minimum net worth to work with them. Now it’s how do I take what I do really successfully, my sales process, and how do I translate that to a lot their guys are, “Hey! This guy just graduated from college, he went and got securities license, insurance license, how do I clone myself in this guy that’s just starting, doesn’t have my 20, 30 years’ experience?” Can you share some secrets to your success at Vitamix, growing a sales team, training a sales team? What’s some two or three takeaways that might be able to help with financial advice from that situation? [0:42:54] Jon: Yeah. Absolutely. First of all, I like to be accurate with this. The way you said it, it was very generous. I didn’t do anything by myself. We had an incredible team and we had an incredible product and we were at the right place and the right time in history. People had been caring more about what they eat and drink and the home chef trend; all that stuff. We did do a lot of things right to go from 40 million to 175 million in three years in revenue and one of the things that we were able to do really well, that is exactly what you asked about, is figure out how to grow; and while we grew, actually strengthen the brand experience for our customers. In fact, when I first got to Vitamix, the team that I took over, our direct sales team, we had almost no training in place at all. We had a lot of really smart people doing really good things, but nothing was standardized so we really easily could’ve screwed up a lot of things and missed a lot of that growth, but we had a really sharp management team that I was very fortunate to get to support. We did some things right and I’ll share a couple of things we learned. Number one is the description you just gave of your top performers who have realized: you know what, I’ve got to grow. There’s some unique challenges to growing from one person to a small team that are different from scaling up a team that already exists and I know that from experience, but there are some things that are universal. For example, the skills that it takes to be a top performing individual, some of them transfer and yet there are some skills that are actually detrimental. For example, to be a top performing sales person, I know this, other people know this, you have to almost have an impatience. You have to be voracious about going out there and getting the business; yet as soon as I’m managing people, that actual skill I have to almost flip it around I have to become hyper patient. When I’m succeeding as an individual, I can depend entirely on myself. When I have to depend on someone else, I have to, all of the sudden, doing is so much different than teaching. So, I’ve found, for a lot of high performers, when they go from doing to teaching, it’s like a shock to the system. Not always but it can be a huge shock because it’s like, “Oh my gosh!” One of the hardest things to do is to have somebody else do something that you know that you could’ve done better, but not have to always tell them that, but not have to always say it. That, by the way, is the mark of a mature manager: someone who can start to let other people do something but not always have to tell them how bad they’re doing it compared to if I did it, and have the patience to realize that’s part of the process. I think one of the very best resources for someone like you just described came out 25 years ago, maybe 30 years ago. Ken Blanchard, who talked about the One Minute Leader; he also wrote The One Minute Manager. Both of these are really great resources, but in the One Minute Leader, what he introduces to the world, which has become famous and you can google the phrase “situational leadership”. The model itself is called The Situational Leadership Model and I’m not a huge fan exactly of how the model works but the concept is maybe the most important concept for someone who is going from high performer to “Now I’ve got to manage a few people” and the concept of that situational leadership model is understanding that when we bring somebody on board, our temptation, our highest hope is that I could just say, “Brad, here’s what you’re supposed to go do, go do it.” And then I turn around pray and see what happens and we get excited because we see this word “delegation”. I’m going to go delegate and that’s what being a manager is all about. We actually removed that word from our vocabulary at Vitamix so there’s no delegating because the problem is, delegating created mental images that: I hand something over and that means you’re going to succeed, but what the situational leadership model teaches is, in fact it’s embedded on the word situational leadership, is that depending on the task itself, depending on the situation, you need a different type of leadership from me. If I’m handing something to Brad that I actually know you’ve already done successfully, well then sure, I can turn around and walk away. That’s delegation, but more often than not, when I hire someone that’s brand new, I have to rewire my expectations and I have to be hyper patient and this might sound crazy but it’s actually better for me to actually really think about: I need to kind of micro-manage things early on so that I don’t have to deal with it later on. Otherwise, I’m permanently cleaning up messes because I started off on the wrong foot. So, really, what the situational leadership model teaches is, if I’m handing you a task or I’m trying to teach you to do something that maybe you don’t have the competency that I do, then you’re in a situation where I need to give you a different style of leadership. I actually need to exemplify, have you watch me do something and then do it side by side with you, and maybe you watch me ten times, and maybe I watch you do it ten times, and I’m coaching you as you’re doing it. So there’s these steps that happen long before I let you do it and report back to me. And I may have shared what could be obvious for a lot of folks, but I’ve seen myself and a lot of managers who want things to happen faster because the same thing that’s allowed them to succeed has allowed them to be able to just make things happen, but as soon as another human being is involved, I have to have a whole new set of thinking. I’ll give you one more example. If I’m bringing on a team; a lot of managers overlook the fact that your first hire, you actually have to get clarity on the culture that you want. It’s almost more important with your first hire than with your 100th hire because if I already have a hundred people on my team; a thousand people on my team; well, I could add someone who’s an average or below average hire. Their ability to impact the culture is minimal. If you’re my first hire, you are my culture. So one of the things that a lot of top performers don’t ever have to think about is what kind of culture, and what does culture mean is how are we going to behave because a lot of people get really good but they never deconstruct their own success factors. Michael Jordan was amazing. For some reason, he can’t own a business or coach anybody and I don’t know why. Maybe he’s actually good at those things, but I think one of the reasons top performers struggle is they’ve never been asked to stop and deconstruct their own success factors. I have to stop and go, “Okay, why am I successful?” and then I have to be able to explain it to somebody in a way where it’s totally understandable. And, then, what I have to do is also ask myself back to this idea of culture before I hire the first person. What kind of relationship environment do I want to have? And the other thing, Brad, it’s a big deal, is before I hire that first person, here’s the biggest shell shock for a lot of managers, is they get excited. They go, “I’m going to hire the first person, or the first 5, or the next ten, or whatever and they start hiring and they’re good at recruiting because they can sell, and they’ve got all these people and they realize, “Oh my gosh! Now I’ve got to spend way more time figuring out what they should do with their time than what I do with my time.” And one of the most important skills for a new manager to have is you now have to learn how to do time management and planning. You have to learn how to think on behalf of other human beings and then you’ve got to do it before they come into the office so that you can efficiently tell “Here’s what to do during your first week; your first month; your first 90 days,” instead of trying to think of that as they’re sitting there. So having that plan for that first 60, 90 days, 6 months so that once the team has come in, I’m not thinking while I’m wasting their time. That’s important too. Let me stop. I don’t know if this is helpful at all. [0:50:28] Brad: No, it’s all good. So back to the training aspect. If I was just building a framework, I guess I’ll give you a little bit of what a lot of financial advisors do. So, they’ve got a new associate advisor that comes in and some guys go where they become kind of their case prep guy, so they can get very familiar with their sales process, their client deliverable, everything that goes along with that and then a lot of times they’re going to shadow. So here’s a lead sales guy, the guy that ran the company, created the whole firm. They’re going to sit in appointments and they’re just going to model what are the questions he’s asking, what’s that first appointment, second appointment. Most of our clients run a three appointment process where’s it’s really a discovery session and then it’s really kind of a 30,000 foot overview of here’s how we would build your plan, here’s how we would address all of your problems we uncovered in the first meeting. And then they would get the commitment at the end of the second. And then the third would be more of the implementation; let’s get this plan in place. So with that overview, what is your advice form the transfer of knowledge from the advisor’s head into that associate advisor? Do you have any keys that maybe you took from Vitamix or Cutco that could work there? [0:52:53] Brad: Real quick there for a minute. Hit the pause button. So, just to be clear. So I heard you right here. So, I’m watching your sales presentation live, you would put together a five-ten page document? Fill in the blank? What was the first question Jon asked in his appointment? And I’m basically doing homework while I’m watching you live. [0:53:12] Jon: Yeah. Let me be really clear; I have done that when we’re training trainers and where they’re sitting in the back of the room. I would have to stop and think if that feels appropriate if you’re sitting there with a client and it might be fine. If I said, “Oh he’s a trainee. He’s just taking notes.” They’re not going to care. [0:53:26: Brad: I love that concept because it’s a guided learning. You’re giving them the bumper guards on the bowling alley right? [0:53:33] Jon: Exactly. What we used to call that, I’ll never forget. Vitamix was a consulting client of mine. I was my own sales trainer and for a year and a half I was re-engineering their sales process, I was coaching all their regional managers and then eventually they recruited me into the real full time role there and I’ll never forget when I presented, Brad, the training that I had designed, that I was going to unveil to all their salespeople, to their chief operating officer, Tony Ciepiel. He sits me down and he looks at the training. And I had all this, I thought genius stuff in this training and he goes, “Jon, this is good looking stuff. I’m just going to give you one piece of advice. You need to put the cookies lower on the shelf.” And that was his way of saying you’ve got to make it easier for people to understand whatever it is that’s most important. We have this cursive knowledge when we’re a top performer. Sometimes we get too caught up in everything we do or we just completely take for granted what we do and what we don’t always stop and do is say, “Well, wait a minute what’s the most essential thing? What’s the first thing that Brad needs to learn?” I’ve got to teach you how to wax on before you’re doing the crane kick. If I start teaching you crane kicks because I’m really good at doing them and I think they’re pretty cool and I know that’s what gets us business, but you never learn how to wax on/wax off, what happens is you’re missing a step. So part of how I would train is I would ask myself, because you always have to think of it even if you’re not a professional training company like we are, you always have to stop and think, “Okay well what’s level one for brad? What does he need to master first before I even worry him with level two? And how do I know he’s ready for level two?” Here’s how I know: because I’ve taken you on enough appointments where we’ve had a pre-briefing ahead of time and pre-briefing, you don’t have to sit here for 2 hours and talk. It can be on the drive there and we have a debrief afterwards and, by the way, the debrief might be more important than the pre-brief because that’s where I’m going to say, “Brad, what did you see? What would you have done differently? What did you learn? What did the customer say?” And I want to see if you picked up everything I picked up. And that tells me really quickly where the real gaps are and how I need to coach and help you. So that debrief is huge. So you’ve got to not only understand what you’re supposed to say and do with the client but why we do that and the best way that I know is I can hear you tell me cohesively why we’re doing it. If I can’t hear you say it as clearly as I can, then I don’t know yet that you fully grasp why we’re doing what we’re doing. So I’ll stop there. I don’t know if that helps. [0:56:49] Brad: No, that’s great. So to circle back around because I took you a different direction. [0:56:56] Jon: I didn’t know where we were going anyway. [0:56:59] Brad: Neither do I man! This is a journey together. Who knows where it will end? You basically were talking through the training where they’ve got kind of a workbook with blanks that they’re kind of following and learning and you said point to where you would go from there and we went a different path. Was there something you wanted to finish up there? [0:57:16] Jon: Yeah. They have to show me that they can do it. Experiential learning is not about can somebody intellectually talk about what to do with the client, but ultimately, can I see them do it? And that’s why the best training companies in the world, 80% of their training is simulating the actual customer experience. It’s actually role playing and that’s an example where a lot of managers have been so good for so long that they either forget that they had to do that or what they fail to realize is that their twenty years of experiences is the equivalent of 40,000 of role playing experience. Just because you and I can intellectually talk about what I’ve done for 40,000, you’ve got to do some catching up. So the best training companies or best trainers and managers realize even though it’s a little awkward or might feel like it’s silly, we need to sit here and actually rehearse and role play. In fact, I found this to be true, Brad, that if I’m learning a new conversation to have with a client, if you and I role play it and rehearse it like five times; just take 20 minutes, whatever it’s going to take, I’m not going to be ten, or twenty, or thirty, or forty percent better than if I didn’t do that role play; I’m going got be exponentially better because we’ve all done this: the first time we try and say something new, it doesn’t matter how great I am at communication, I’m going to stumble through it. But, when we talk, we create new neural pathways. It’s like a shovel digging pathways so the next time we want to say the same word, we can say it much faster. It’s like, if you’ve ever told a story before, that you’ve told a story so many times, you realize you’re really good at telling that story. You don’t even have to think as you tell it. But, if you try to tell a story for the first time that you’ve never told, in your head this is an amazing story, but because you’ve never verbalized it, it doesn’t come across very well. It’s simple brain science. Every time you say it makes it easier to say it the next time. So it’s actually a very simple answer. If you want to get really good at something, go practice it five to twenty times sitting in your office, instead of doing it on your paycheck. Don’t learn how to say it in front of the client. [0:59:11] Brad: So a lot of role playing at Vitamix was key? [0:59:15] Brad: Is there a simple framework? Role playing, I mean; it’s pretty much one guy takes the role of the prospect the other takes the role of salesperson. That easy or were there two or three things to get the most out of it? [0:59:26] Jon: One of the things we would do to accelerate the quality of our role play so there’s two things that come to mind. One is, we would create these mock scenarios where I would have you and your wife as though you’re standing there and I’m trying to sell you Vitamix. I would hand you little index cards and on each index card I would write out not only the most common, but the most challenging objections. We would have people role play where at any possible time during the presentation, not without me knowing, when you would just pick one of those objections. I was trained a long time ago to learn how you reframe an objection. You have to do it really quickly. We had a really simple process that we learned where somebody gave an objection and we would have stop watches. We would actually time how long would it take you to handle that and then get back to the flow of a decent conversation. We found that there’s a direct correlation. Somebody throws something at me and all of the sudden it takes me three minutes to handle it. There’s a direct correlation between what ends up happening in that relationship versus if I could do it in seventeen seconds. So we had a simple formula that we created and our formula we thought worked out really well. I’ve used it in different industries too. The formula that we used was basically three steps. Step number one was to acknowledge. Give me an example. What’s the most common or the toughest objection that a financial advisor gives? It’s not my world so I’ll do this from scratch with you. [1:00:52] Brad: Here you go. If you solve this you’re going to be a really popular guy. [1:01:22] Jon: Yeah. Perfect. Here’s what I’m going to do: I’m going to approach this two different ways. So it’s the classic “we need to think about this.” First of all, and this is more for anyone who’s newer or if you’re teaching newer people, one of the most important lessons to teach is, any objection is a symptom possibly of a presentation that could be refined. This is probably an objection the financial advisors get all the time and it doesn’t mean it’s going to go away permanently one day. I was taught if you keep hearing an objection, at some point you keep hearing the same thing. You’ve got to stop and be proactive and figure out how do I pre-frame it? Framing is just a sales 101 thing. I can guide how somebody views how we’re going to do things based on how I package it all. With this, I need to think about it. One of the things that I’d be working on is how do I, earlier in the conversation; because if the first time I’m addressing an objection is at the end of the presentation, in some ways I’ve already lost, but what’s ideal is if I say something earlier on and we have an upfront agreement even if it’s just a casual, implied agreement where I’ll say, “Brad, here’s my goal today. You don’t want to be a professional researcher right? You want to live your life and do what you want to do. My goal, my job is to be able to have all the information you need so that if you wanted to, you could actually make a decision today.” So I’m somehow trying to pre-frame whether it’s getting your agreement that, “Hey there’s a really good chance most of the people I speak with by the time we’re done meeting, they really know whether or not this makes sense and whatever you decide I fully respect.” But I’m subtly trying to keep giving examples or plant seeds that by the time we’re done meeting you’re going to have more information than you’ll ever have need so it should be pretty easy to figure out. Also what I’m doing is I’m using presuppositional language. Presuppositional language means I’m just talking about the future the way I want it to go in an assumptive way where you’re probably not going to jump across the table and say that’s not going to happen today. You’re probably just going to go along with it but then when I do go to the end, because I can’t pre-frame and eliminate every objection, I don’t think anybody can, when I do get to that objection, there’s a three step process I’ll use. So you tell me, “Jon I want to think about it. We want to pray about it.” If I try and face that objection head on that’s kind of a lose-lose scenario because a lot of untrained salespeople, if they face an objection head on, I’ve got to think about it; fees are too high; I can’t afford this; or whatever that might be, there is no good answer to that. The first thing we would do is we would align and the way we would align is I would pick one of three words. I would either say: Brad, thank you for sharing that. I can fully respect; or I might say: I can appreciate; or I might say: I can understand. I always respect, appreciate or understand. You notice I did not say, “I agree that you should think about it.” I said, “I respect,” “I appreciate,” or “I can understand.” By the way, if I say the words “I respect,” “I appreciate,” or “understand,” this is kind of the master level sales training here. Those words aren’t complicated, but if I say those and I’m coming from a place where I don’t really respect you, I don’t really appreciate, and I don’t really understand, I could say those words but what they’re really going to hear is, “Oh com one man! You should’ve made a decision.” That’s what they’re going to hear. So it’s really important that we’re congruent. The very best salespeople have the ability. That’s why the inner game is such a big deal. This is the real distinction between 95% of all salespeople and the very best can truly, actually get in a state where they can say “I totally respect where you’re coming from” or “I can fully appreciate” and they actually feel that when they say that. You cannot overstate how important that congruence really is. So I’ll say, “Hey, thank you for sharing that, Brad. I fully respect/I fully appreciate/fully understand where you’re coming from.” That step one is just alignment. The third step is actually just to now show them that, in fact, because you value that, I want to show you why this might actually be one of the best things you could do for yourself. All I’m doing is I’m connecting that value back to the features and benefits of what I’m offering. So if it was a blender and they said it’s too expensive and I say I respect that, shows you value making a smart investment, I said, “Could I show you for just a second why so many people who bought our blender had the exact same question?” I change it from objection to question. “Is this a smart investment? Why they’ve decided it’s actually one of the best investments they’ve made? Can I show what they’ve said?” Then I’m just going to connect the dots and now I should just be going back into my presentation. I should be going back to something that I’ve already stated. One of the big mistakes we can make as salespeople, is we try to handle an objection by bringing new information in. I should really be going back to, “Remember when we talked about this earlier and this benefit and this feature that we bring by doing business with us? That’s actually the reason why people love working with us. They want to think about it because we really value making smart decisions here’s a few reasons why it’s a smart decision.” and then I might finish with a question. I go, “What else would you love to know that would help you to realize this is a smart decision for you?” What I did is I just came all the way back to I‘ve totally reframed their objection into a question now and I think I’ve handled it and then I go, “Is there anything else that would really help while I’m here?” The whole “while I’m here” always helps because sometimes as a sales person when they think about it, all you’re trying to do is just buy a little more time because I believe that people are often closer to buying than we think. Actually, I believe that I should uphold that belief and if they want to think about it, that’s not no. They just want to think about it and unless they’ve literally said, “You should go now. I want you to leave my house now because I’m going to think about it.” I might still try and do the reframe but the reason they would say that is just a screen because they need more time to do some processing. So step one is I respect, appreciate and understand; step two is pay a compliment: Hey it shows you really value blank; and step three is just to connect that value to something I may have already stated about why working together is actually why a lot of our customers say this is about making a great decision. Are there any other questions you have that might help you to see if this might be a right decision for you? So I come all the way back to reframing their objection to a question and see if I can keep the conversation going. Did that make any sense? [1:10:08] Brad: That made a lot of sense. In fact, in of the things that we’ll coach on the first appointment is…the goal of the first appointment is: make sure you identify two to three pinpoints. And, going back to the mindset thing, you just made me think, a lot of times, people—not everyone, but some advisors will write off, “Oh, it just wasn’t a good prospect.” It’s kind of like their get-out-of-jail-free card. Just wasn’t a good fit. What I’ll often do is I’ll re-frame. Do you realize how much work this individual’s already done through to sit there with you, because oftentimes they’ve gotten an invite to go to a public presentation, they spend an hour with them there, then they drove across town—they actually said they wanted to meet—drove across town, loaded it up, put it in their calendar. They’re in the first appointment, they spend another hour there, and then—oh, wait! They drove back across town another time and then here’s another hour. So, they’re showing a lot of activities that are saying, “We are interested,” right? And you’re at that finish line, and then because you maybe don’t go back and address those one or two objections that they just need to be confident about, they’re writing all of this work that’s been put in already off. I love the mindset thing because I think, if every financial advisor would just think through what that individual have to do to get to this point in the process, they’d put in a ton of work, so there’s an interest level there. [1:11:25] Brad: And then, circling back around, what I loved about the framework you just shared is now you can say… Circle back around on those pinpoints from the first appointment, right? Where you can actually say, “You know what? I want you to make a smart decision and I just wanna make sure that first appointment as we were talking about, you know, Mr. Jones, if you pass away, one of your biggest concerns we were talking about was: your pension is only good for you. Your wife does not get that income. It goes away when you go away. So, I wanna make sure we address this and do make a smart decision and, while I’m here, I love that verbiage. Can we talk through that? And I think sometimes we get so caught up in the selling of the product and “here’s what we’re purchasing,” we forget the actual purpose for the product is for them and to solve that need. I think that ties them perfectly to what financial advisors do every day. [1:12:10] Jon: Yeah. Awesome. Awesome. [1:12:12] Brad: So, good job. [1:12:16] Brad: Alright. Man, this time has flown. If you’re good to keep rolling, I’ve got a few more things queued here. [1:12:22] Jon: I’m happy to. [1:12:23] Brad: Okay. Let’s go from VITAMIX to the Flourishing Leadership Institute. [1:12:29] Jon: Oh, yeah. That’s where I thought we were gonna start. [1:12:32] Brad: I know. I just knew you had all those sales background. We gotta dive into that knowledge, buddy. [1:12:36] Jon: I’m gonna admit, our last hour’s stuff I don’t get to talk about really often, so I appreciate it. [1:12:41] Brad: Cool. Well, you haven’t lost a step. I think you could still go back and sell blenders and knives if you have to. [1:12:46] Jon: I hope so. [1:12:48] Brad: So, let’s go to—and I wanna share a little bit of a backstory here because I had no idea what the Flourishing Leadership Institute was, I had no idea what appreciative inquiry was until I saw it live. I saw that in Front Row Dads retreat, my buddy John Ruhlin’s, like, “Hey, you’re a dad, you wanna be a better dad. Let’s roll to Philly. You and your friend and buddy, Jon Vroman, put on an absolutely incredible event. And you have to speak highly enough of it. And you took a group of approximately 40 guys that… There were little pockets of people who knew each other. You kind of have the Cutco guys, the Keller-Williams guys, but a lot of guys had never met each other before. And, literally, within the first evening, with the way you guys ran the event, the Appreciative Inquiry and the methodology that you used, you took all the apprehension out of the room, of people blending and mixing and not knowing each other. And it was just incredible to watch. In fact, it was so incredible to watch, I came back and I sat down with Cody, one of the three founders of Advisors Excel, and I said, “I think that model is so powerful, we need to use it for our small groups, our masterminds we run for our advisors.” And we are. So that’s fun. We’re gonna be running in that in 2017; it’s gonna be incredible. With that background, could you give those that aren’t familiar with Appreciative Inquiry or the Flourishing Leadership Institute? Maybe the thirty-thousand-foot viewpoint; here’s what we are, here’s what we do, and then I think we can dig in from there. [1:14:17] Jon: Yeah, happy to. And I’ll connect a few dots here, and I’m delighted to get to work with you guys this year. It’s gonna be a lot of fun, and I really appreciate that you saw that experience because it is powerful. And, for anyone who’s listening right now, there’s a few ways to get value, if you’re still actually tuned in. Number one is if you lead a team of any size, I would like to hope that what we’re about to talk about could be huge for you in engaging our team, and in connecting, and in finding ways for them to fully be bought in and enrolled in a shared vision. And if you don’t lead a team, what’s interesting is so much of what we’ve doing this work is actually immensely powerful even just for individuals, too. So, that’s my hook. Stay here. [1:15:04] Brad: Jon, can I throw in one more hook in there? I think a number of our advisors from a marketing perspective, they do a ton of public events. Seminars, right? And I think a lot of what you brought to the table can be applied to running a better seminar as well. So if you wanna hit on that too. [1:15:20] Jon: If anyone heard this, ’cause I don’t have the formal sales pitch for it, it’s not even advertised, but training’s coming up and we’re gonna train people and our methodology. We’re the leading provider of our approach in the world. Its approach has been around for 30 years and 10+ thousand people have been trained in it. We’ve taken it to a new level, so if you have people who lead meetings and they hear what we’re about to talk about and they love it, just, I don’t know, friend me on Facebook, or give them my info, and I’ll tell them where they can learn more about this. But, a little bit of background. Real simple, when I was at Vitamix., my first week on the job, I got an email that said you’re coming to a meeting that’s being run by a guy by the name of Dr. David Cooperrider, and David Cooperrider is this professor at a Case Western Reserve University. I go to this meeting and he proceeds to teach us about this method and I realize the company has hired him as a consultant to facilitate this large-scale change effort using a method called Appreciative Inquiry. Now, what I learned about Appreciative Inquiry in that meeting on my first week on the job, I was so excited about it that I took the concept that I learned in this one meeting. I wasn’t formally trained, I wasn’t certified, Brad, but for the next three-and-a-half, four years, I used it for everything we did as leaders. And our team never even knew. I didn’t tell them what the method was, ’cause it’s so based on these truths that I think are powerful. See, those are all strengths-based questions. They build from the best of what was, what is, or what could be. So, Appreciative Inquiry is approach. It’s an approach to facilitating learning conversations that helps teams or communities of any type to make a lot more progress, a lot faster towards learning whatever is important for them to be learning about, ’cause we can design the questions around being a dad or setting a strategy. We facilitate large-group strategy sessions with hundreds and hundreds of people in one room for three or four days. And that sounds crazy, but it actually works really well. So we use this really interesting approach, Brad, and a lot of what it’s driven by is not only the idea of you can take a whole group and all at once have this transformation through positive conversation, it’s driven not only by focusing on strengths, but, most importantly, it’s driven by the power of a question. What we do in our work, the essence of it is we ask new questions, and we bring questions into organizations. That might sound like, “How on Earth is that gonna do anything worthwhile?” What we have discovered is that whether it’s with a large group, or it’s just myself by myself, the questions that we ask ourselves are fateful. In other words, what I mean by that is, when we ask a question—somebody’s listening to this call right now. If they ask themselves the question, “Where am I struggling in my business? What’s not working, what’s broken?” And, by the way, it’s really easy. It’s actually natural as a human being to have our attention go towards what’s not working. I’ll give an example: a famous Appreciative Inquiry story is work that we’re doing with British Airways. British Airways had hired some Appreciative Inquiry consultants to come in and do some consulting because they were losing a lot of bags. And the consultants ask British Airways is, “What do we want the focus to be of this meeting?” And they said, “Oh, that’s easy: handling lost baggage. That’s our problem: lost baggage. Anything other than that is a waste of time.” Because we often think when something’s not working in our life, or our business, or with our team, that’s what we should focus on, ’cause if we don’t, it’s just gonna get worse. Well, there’s some truth to that. But the Appreciative Inquiry consultants, they said to the British Airways team, “Well, we actually wanna encourage you to reframe why we’re here. Because if all we do is say we’re here to fix the lost baggage problem, what’s gonna happen is we’re gonna start asking how did we get here? Why is it so bad? Whose fault is this? How bad is it? And we’re gonna become experts at lost baggage.” But excellence, we’ve learned, Brad, excellence is not the opposite of broken. Meaning, just because we focus on what’s broken, that does not mean we’re gonna become excellent. So, what the consultants said to British Airways is they said, “No. Come up with a different question that will not only fix your lost baggage problem, but would actually go beyond that and to make you excellent.” And so, the British Airways team put their heads together, and all of a sudden, it was like a light bulb, a flip-switch that they realized what they needed to do. They came back and they said, “We realized we want the task of this meeting to be about how to create an exceptional landing experience for our customers.” You see, the difference is by asking, “How do we fix our lost baggage problem,” that sends us one direction. When we ask, “How do we create an exceptional landing experience for our customers,” what’s fascinating is, within that question, we’ll probably fix the lost baggage problem, and we’ll come up with a hundred ideas that will make us amazing at what we do, versus just fixing the problem, which might just bring us back to neutral-er fix like restoring a broken building. So, Appreciative Inquiry is really its essential place, Brad. It’s all about learning how to ask better questions. So, when I work with teams, or individuals that are parts of those team, I’m always challenging them. What are the questions that you’re asking right now? Are we asking, “What do we want our future to look like? What would it look like a year from now for it to be exceptional?” And you can ask better question with customers, too, to get better conversations. Like an hour ago, you and I were talking about that. Better questions will lead to those better conversations. That’s kind of an intro to Appreciative Inquiry. There’s a lot more to it and, forgive me if I’ve caused more confusion than clarity, but I’m happy to share anything that I can that we’ve learned about it. [1:22:28] Brad: Well, what I love is we’re gonna see it live this year at Advisors Excel, and I can’t wait. What I remember from Philly, from the Dads Retreat was not just… The questions were awesome, but what I also remember was the distilling of information, and you guys did an awesome job of—and I trying to put this speaking of lenses through the lens of a financial advisor, how can I get this to serve them? Many of them are doing sales presentations, and it would be your typical dinner-seminar, right? I’ll buy a steak dinner and I’ll speak for an hour on our firm and how we help retirees just like you, you’ll have the opportunity to set an appointment at the end of this presentation, and then enjoy the meal. That’s essentially it. I’m trying to think if there’s ways that that can apply t running a better seminar, because you’re probably not going to pass the mic around. Although, I’m not gonna eliminate it, but if you convince me that that would be cool, that would be a fun conversation. But, are there ways, crowd participation is huge, and I know appreciative inquiry does a great job of that. [1:23:29] Brad: Tips or secrets from the Appreciative Inquiry model to where, whether it’s crowd engagement or even going into a sale and ask that you can use that model and that can help advisors out there. [1:23:43] Jon: Yeah! I’ll do my best shot out here. Again, it’s not entirely my realm, but I’ll give you a couple thoughts, things that I would be thinking about. And some of this will be related to the crowd or individual or maybe both. For one, anytime I’m running a seminar, and you’ve been to my version of the seminar which is where I’m not doing a lot of talking. I want the participants to be doing the talking, ’cause if the environment goes the more I can move it from passive to active, there’s a whole bunch of pluses that come from that. If it’s a seminar, or even just a steak dinner or whatever it is, and we’re having this important conversation, I’m gonna ask myself, “What kinds of questions could I ask of the audience that I could actually have them engage in the answers that will serve a number of important purposes?” Here’s an example: if I was selling you one-on-one, one of the questions I would probably ask—I’m just making this up as we go here—I would probably ask a question like… Brad, I really like to make sure that I am tailoring my service to how somebody likes to be taken care of. And I might ask a question like, “Do you have any examples, specific examples of any kind of professional services that you’ve ever hired in the past that you absolutely loved how they treated you? That you love the value that they brought to you? ‘Cause I would love to know. If you do have examples or memories or stories like that, give me an example of a time when you were treated exceptionally by a professional service provider, so that I can make sure I understand what it is that you might wanna see happen in our relationship.” See, that’s a really interesting question. I teach negotiating through an exec ed course in business school where we talk about asking these questions, and you can also ask, “Is there a time where you were not taken well care of and what happened there?” But here’s the thing to be very careful of is you ask too many questions where the answer’s negative, and there’s a lot of brain science. We know more today about neuroscience than we ever have, and the consequences of this in a selling environment are huge. If I ask you too many questions around what you don’t wanna have happen… You talked earlier about pain. It’s okay to pry for pain, but make sure that the ratio, there’s far more positive than negative. ‘Cause when we get negative in our conversation, if we don’t get back to positive, it actually shuts down the part of my brain that is the same part of my brain that is able to make decisions. So, I’m much more likely to not wanna decide if we just had a bunch of negative talk, right? That’s why I’m gonna craft mostly conversations that are gonna move them positively. This is obvious, and your people are probably listening to me, going, “We learned this on day one!” But I would be asking people in a seminar, I would be asking them, “Hey, a year from now…” There’s different ways you can frame this kind of question. And I would have these in writing where they always answer it first in writing, on a handout; then I’d have them have conversations with a partner, and then maybe a group conversation. The reason why that question is really important is two-fold. Number one, is because how they answer it tells me a lot about what they value, tells me if what they really value are the things that they can buy, external things; it tells me if what they value are the relationships that they are protecting, their spouse or the future that they’re setting up for others. Embedded in their answer, they’re giving me, word-for-word, what they value. That’s hugely important. That’s kind of a facilitation technique that helps the environment to go from passive to active, which is important. I don’t know if I’m answering at all what you’re looking for, Brad. [1:28:52] Brad: No. I’m actually, as I was listening to you lay that out, a number of our advisors will do a version of crowd participation where, towards the front end of their actual seminar, tonight it’s all about you. For some of you, this may be the only time our paths cross, and my goal is that you leave here with two to three positive things that leave a positive impact on your retirement and that will kind of pull the audience. And that would be really cool to actually change that to a quick little 2 to 3 minute discussion where you write a few things down, and then facilitate. Because, as they’re verbalizing them, like you said, it becomes more real among each other. [1:29:31] Jon: Yeah. You know, we’ve learned a lot. So in 2016, our leadership institute, we facilitated live and in person. You were at a two-day event, and during that event you had about 5 or so really professionally designed conversations, as what we would call it internally. We facilitated 18,000 of those last year. Live, in person. And we learned a lot. We’ve learned a lot. And one of the things that we have discovered, Brad, is that your best seminar leaders are probably really good at getting participation. And when you go from just having people raise their hand, which in itself is great because you’re physically moving them and there’s a lot to that. But when you actually have them write something down and then talk about something, there’s something that happens, again, from a neurological perspective. There’s a neuro-physiological impact. When I talk about something, it makes it real. It makes it real. And when I talk about the future in a positive way with somebody else, especially a stranger—it actually works better to mix people up o they’re not talking to their spouse right next to them—it creates a future reality in the present that we have discovered. It’s one of our biggest discoveries that we’ve been able to make is that what that does to person, it doesn’t just make them 10%, or 25% more engaged in that moment. it’s exponentially different. Because when I talk it out loud, that’s way different than if I, as the facilitator, I’m just hoping that you’re just thinking about it, right? There’s a lot to that. You can get people to actually talk about something. Give them the question, guide them through thinking through it, writing through it, talking through it. And then get them to stand up and talk about it in front of each other. That’s a big moment. [1:31:16] Brad: Yeah. The framework that I loved, and this is the fear from a financial advisor—or anyone that’s leading an event like you’ve lead hundreds, if not thousands at this point—this fear is when I hand the mic off, when do I get it back? And how long is this going to go down, maybe a path that I can control. And when we talk about your framework is, you never share your idea. You have to distill the best ideas from the conversation you just had, so you’re sharing somebody else’s idea. I’m sure there’s science behind why you do that as well, but I thought that was brilliant. [1:31:48] Jon: Yeah. These are all just really facilitation techniques. We combine a lot of experience with facilitating conversations with groups with this method that we use, and cool things happen. You can have people share a story with each other, and then you could have them introduce their partner to a small group. If you could see this playing out, I want you to imagine this. Imagine the whole room is having conversations about an amazing future, and you, the facilitator, are the reason it’s happening. There’s something going on there that you could really work with, and there’s a level of engagement at the seminar that is very, very different. Now, you might have someone listening going, “Well, what about the stuff that I know I need to present?” Well, yeah. You could still blend that in. What I’m just talking about changing the mixture, where it’s not 90% passive learning to where maybe it’s 50-50, taking way less time to quote-unquote teach or tell or share information in more of the time where they’re actually talking to each other, sharing about their dreams or visions. Be interesting. [1:33:16] Brad: Awesome. Well, we could probably go for 2 to 3 hours more, but I should probably start to wind this down a little bit. I have a date night with my wife tonight, so I definitely can’t be late for that. [1:33:27] Jon: Yeah, there should be a prize for whoever is actually still listening. [1:33:30] Brad: Let’s go into some rapid-fire questions. These are fun. And wrap it up if you’re good with that. [1:33:37] Jon: Fantastic. Let’s do it. [1:33:38] Brad: Okay. You’re good on your feet, so I’m just gonna them at you fast. [1:33:42] Brad: When you hear the word ‘successful’, who’s the first person you think of and why? [1:33:46] Jon: Hmm… Actually, I think of my wife. And the reason why is because she is so clear on what she values, and because for her, success is entirely defined by the success of our family and other people. So that’s who jumps out. [1:34:06] Brad: Mm. Awesome answer. [1:34:08] Brad: Make sure he listens to this. Give me her email, I’ll send her a link. [1:34:11] Jon: She’s too busy taking care of the kids, man. [1:34:15] Brad: What’s the favorite book you’ve ever read and why? [1:34:17] Jon: Hmm… Favorite book I’ve read and why. You know, in the last several years, one jumps out more than any other. It’s called Conscious Business. Conscious Business. It’s kind of a bland title, and it’s not conscious capitalism. There’s a zillion books with similar titles. It’s by a guy named Fred Kofman. K-O-F-M-A-N. One of the reasons why I like that book is because Fred Kofman understands and teaches better than just about anyone I’ve met what it is when culture is being created at the level of our conversations, and how to improve culture by improving the way that we talk with each other. That’s one of my favorites. Conscious Business. [1:34:59] Brad: Great. Are there any other books, maybe from a different angle, that you’ve gifted the most over the years? [1:35:05] Jon: Oh, yeah. Encyclopedia of Positive Questions. In the spirit of asking great questions, I ask the team ’cause they always helping me this way. There’s a great book called The Purpose Economy, written by a friend of ours, Aaron Hurst. He’s researched the shifting demographics towards millennials and what does that actually mean. One of the things it means is he has this hypothesis that we’re moving into time and place where what people are gonna care about more than anything is finding meaning or purpose in their work. That’s a fantastic book, Purpose Economy. There’s others that I really enjoy, but I’m almost afraid to recommend, because I don’t think that your audience will enjoy them. [1:35:43] Brad: Throw them out there, man. Throw them out there. [1:35:46] Jon: More like leadership books that are dense and unenjoyable, I think, sometimes to read. The Living Company. The Living Company is one. Another one is called The Fifth Discipline by Peter Senge. One of my favorites is Spiritual Capital by Danah Zohar. Spiritual Capital. Another good one is The Future of Management by Gary Hamel. But these are all, I think, of more interest to someone who is leading what’s already a mature organization. [1:36:14] Brad: We’ve got some of our advisors. They’re all 20, 25 staff. They know some big organizations, so. [1:36:20] Jon: Yeah. Yeah, awesome. [1:36:23] Brad: Okay, let’s go with two more. [1:36:27] Jon: Oh, hold on! Wait! A favorite book that anybody could enjoy, Jonathan Livingston Seagull, that’s the name of the book. Jonathan Livingston Seagull. Now, don’t give me a hard time, everybody. It’s a book about a seagull. And there’s pictures in it. Wide margins, big font. Maybe you’ll like it. [1:36:44] Brad: Quick read, huh? [1:36:45] Jon: Jonathan Livingston Seagull. It’s a classic. Go check it out. [1:36:49] Brad: Alright, let’s go to 17-year-old Jon Berghoff. [1:36:53] Brad: What advice would you give him today? Do this a little different, buddy. Accelerate your learning curve. [1:36:59] Jon: Yeah. I would tell 17-year-old Jon Berghoff two things: I would say value your relationships a little bit more; and number two, I would say, value your health a little bit more. These are things that I value a little bit more today. I think I would have been well-off to value them more at that age. [1:37:22] Brad: Alright. Best business advice you’ve ever received. [1:37:25] Jon: Wow. I guess there’s two way that I approach this. Sorry I never have a simple answer. [1:37:30] Brad: No. It’s good, man. [1:37:32] Jon: On one hand, my first mentor manager, going back to when I was 17, one of the things he used to always say is the phrase, “There’s always a way.” “There’s always a way.” So, that’s something that sticks with me is that as an entrepreneur, a salesperson, a business owner. Having that kind of attitude that there is always a way to figure something out, to succeed in something that’s pretty important. And, I guess, if there’s a second piece of advice that’s maybe more sophisticated or complex, it would be how important it is for us as individuals to never stop asking ourselves, “What am I good at? What do I enjoy doing? And when I combine those things, what are the biggest problems I can solve?” And sometimes, we’re in a role or an industry where we ask ourselves, “Should I be doing something else?” And I know for me and many folks that I’ve coached, we often think that the grass is greener on the other side, but, really, what we’re not doing is we’re not pouring enough energy into our strengths, into what we’re good at. And we’re not pouring enough energy into how to bring joy to what we’re doing. ‘Cause those two things, enjoying what we’re doing and being good at it, they make anything possible. So, finding ways to enjoy what we do, tapping into what we’re good at, and always recrafting how I spend my time so that I realize that I’m good at doing this, and how do I make sure I’m doing more of that within the work that I’m doing I think is pretty important. Add more value than you ask for in compensation. I’m just full of this. It’s like the Rodney Dangerfield of business advice. One-liner after one-liner. [1:39:22] Brad: Alright, buddy. This has been awesome. I appreciate the time. I know you’re a busy guy when you’re facilitating that many events and leading a team. So thankful that you carved out some time here to share it with myself, and my clients, and my listeners. Thank you. [1:39:35] Jon: You’ve got it, Brad! See you, buddy. Enjoy. Take care. Talk to you soon.